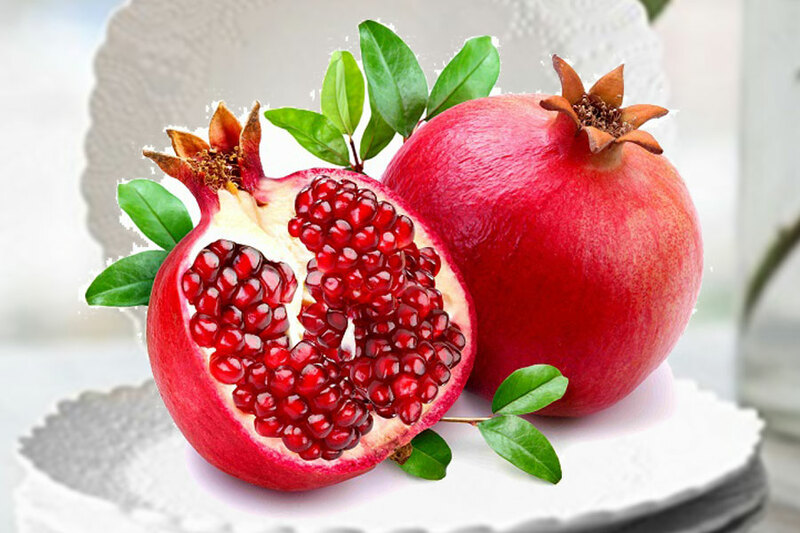 Pomegranates are one of the most nutritious foods in the world, being rich in vitamins, minerals, fibers, and so on. Many people tend to avoid eating them because they think it’s too time-consuming to separate the seeds from the shell of the fruit. But there are easy ways to do this. Just roll the pomegranate on a hard surface for a few times before splitting it open in half. All that is left to do is to hold it over a bowl with the seed side facing downwards and tap the fruit strongly on the top. The seeds will now be in the bowl. Now, you can choose to eat pomegranate seeds out of hand. But then there are hundreds of fresh pomegranate recipes available on the net. So, if you have the time, why not try it out and taste something new. Below, we have listed a few such recipes to give you an idea as to what can be created with pomegranate seeds. Do you love eating salads, especially the ones containing lots of olives? If so, you should try and serve pomegranate seeds with olives next time. Believe it or not, both olives and pomegranates go very well with each other. They complement each other’s taste so well that you are guaranteed to use pomegranate seeds every time you make an olive salad. Try and use pomegranate seeds in a smoothie. While the smoothie will have a thick texture that will provide a soft sweet taste in your mouth, the pomegranate seeds in the smoothie will give the drink the tangy bite it needs. The best option is to blend pomegranate seeds with yogurt and some sugar to form a thick smoothie. You can then add a few seeds on top while serving it. The next time you prepare any dip, for say buffalo wings or something similar, you can make it extra special by adding a few pomegranate seeds. The spicy flavor of the dip and the tart sweetness of the seeds will provide a new taste that is guaranteed to make everyone want to taste the dip again and again. You can also mix in a little pomegranate juice into the dip in case you wish to blend the flavors. You can also add pomegranate seeds to drinks. This will not only add an extra flavor to the drink, but the chewy, crunchy feel of pomegranates will add an extra texture to the drinks, making it much more exciting. So, whether it be some fruit juice, champagne, cocktails, or any other drinks, drop a few pomegranate seeds and see how different the drink becomes. This is something you should definitely try out when you host your next home party. When creating muffins, try baking with pomegranate seeds. You just need to add the seeds to the muffin batter. That’s it. Once they come out of your oven, the muffins are going to taste extra special, thanks to the crunchiness and sweetness of the pomegranate seeds. You can do this with bread and other similar food. You can also create a pomegranate-based sauce. Just blend in some wine and pomegranate until it thickens. And the next time you are to eat any meat dishes, try and use the sauce with it. The taste will make you want to use more of the sauce. In addition to the above uses in food, dried pomegranate seeds can also be used as a natural beauty remedy to minimize wrinkles and other signs of aging. But for now, try the recipes we have listed in this post and you will surely be amazed at how yummy pomegranate can be.